Do you use eyeliners to create a bold statement with your eyes? Available in two colors, this liquid liner is great for creating thin wings as the tip of the applicator is very pointed. The formula of the liner is ophthalmologically-tested and fragrance-free so it can be used on sensitive eyes also. It gives you dark jet black finish with absolutely no smudging or fading for at least 6-8 hours. The liner is easy to clean with an oil-based makeup remover. The price is moderate as the product is cheaper as compared to other eyeliners in the market. The fine tip allows you to line your eyes with precision and the waterproof formula stays for the whole day. The price is an added advantage for beginners. A good budget eyeliner to try when you are a novice, this eyeliner from Rimmel is very easy to use. 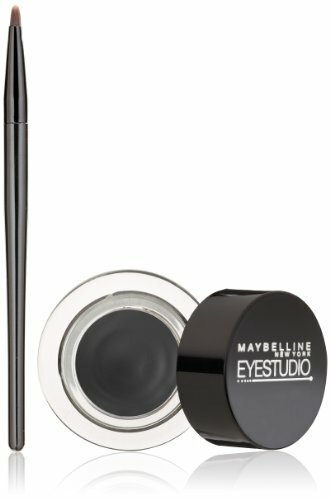 It defines the eyes beautifully and gives you a soft black color which stays for the whole day. It has a smudger on the other end which helps to achieve soft smokey lids in no time. It can also be used on the waterline which makes it a great multipurpose product. It also stays on oily lids and the price just makes it a perfect option for those on a budget. Rimmel is known for some quality affordable products and this eyeliner gives you dramatic eyes in just a few seconds. It does not smudge or fade because of its waterproof formula. If you are willing to shell out some extra money, this liquid eyeliner from Stila is a good option because of its easy design. It is available in 14 gorgeous colors to choose from and the intense black color is perfect for lining your eyes every day. The felt tip applicator is very easy to use and makes sharp wings for creating a statement. The price is high but the formula makes it worth it. 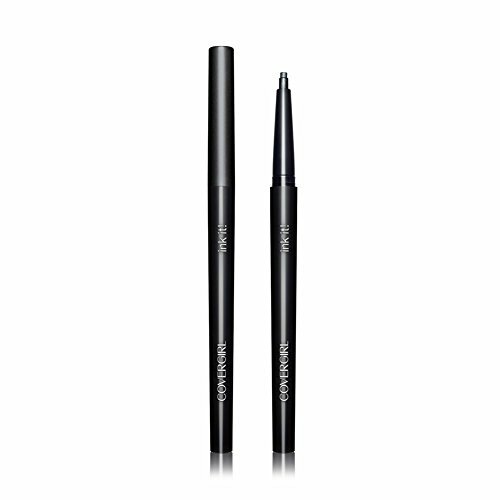 This felt tip-like eyeliner is good for makeup lovers you want a liquid finish but an easy application. It is easier to control and the colors are very vibrant. One of the basic problems of pencil eyeliners is the fact that you have to sharpen them but this self-sharpening eyeliner from Covergirl saves you from all those troubles. It is available in six colors and the fine tip is good to create both thin and thick lines. The formula stays on the lids for 9-12 hours and glides on very smoothly on the skin. The price is very less as compared to other eyeliners. The price of this eyeliner is great when compared to the quality and the smooth formula of the eyeliner. Its self-sharpening design gives you smooth neat lines. If you want intense dramatic eyes, gels liners are a great way to achieve them and Maybelline Lasting Drama gel eyeliner is the most famous gel eyeliner available in the market. It comes with a slanted eyeliner brush which gives you clean dramatic wings. It stays for 12-14 hours and only gets cleaned when you remove it with an oil-based makeup remover. The price is moderate and the quantity lasts for at least 6-8 months if used regularly. The four rich color options and the complimentary brush makes it very easy to create dramatic bold eye looks for special occasions. The quantity is also very good. NYX is a great brand when it comes to making quality products at an affordable price. 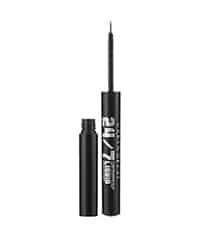 This liquid liner is great for creating extremely thin lines and tight lining your eyes. It is available in three colors and the pigmented formula gives you opaque application in just one swipe. It is a bit difficult to master because of the fine tip but once you know how to use it, this is one of the most user-friendly eyeliners in the market. The price is affordable. 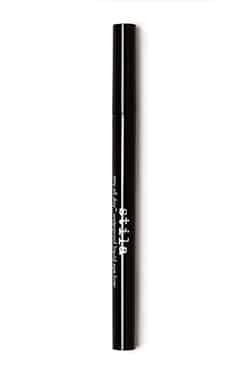 This is one of the most pigmented eyeliners you can have and the staying power is also great. This liner is good for creating very thin lines with absolute precision. This is another felt tip liner which gives you rich glossy finish with its ultra-fine tip. It is available as a single pack and packs of multiple eyeliners. The formula is waterproof and sweat proof. It stays on the lids for 7-9 hours. 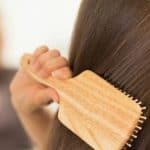 It dries quickly and does not feather or fade as the day progresses. The pigmentation is very good and the natural black color makes your eyes look bigger and striking. The price is one-third of what other felt eyeliners cost. This eyeliner is a great option for people who want to get the finish of the Stila felt tip liner at a lower price. It is very similar to the Stila variant and stays for even longer. 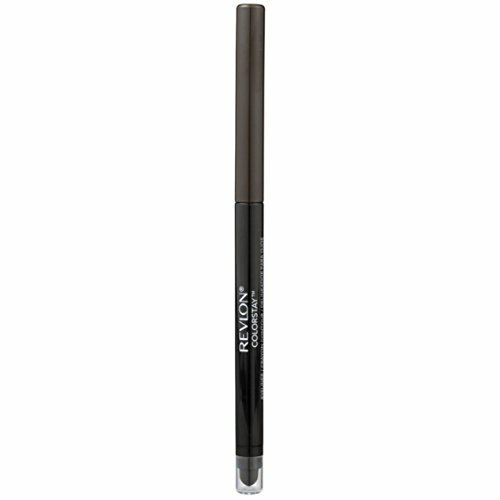 If you are looking for an eyeliner pencil which comes with a built-in sharpener, this pencil from Revlon is a good option. It also has a smudger which gives you soft kohl-lined eyes in just a few seconds. The 8 color options make it easier to create a variety of looks for just a few dollars. The fade-proof and waterproof formula stays on the lids for 5-6 hours without any feathering. The price is good for the quantity. The pull-out sharpener of this pencil makes it easy to get sharp lines without the shine. It gives you natural black pigmentation with intense depth which stays for really long without fading. There is only one thing which is better than gel liner and that is a gel liner in pencil form. This eyeliner is very expensive but the five sophisticated shade options make this product a great choice for work makeup. The saturated and rich color makes your eyes pop with drama. 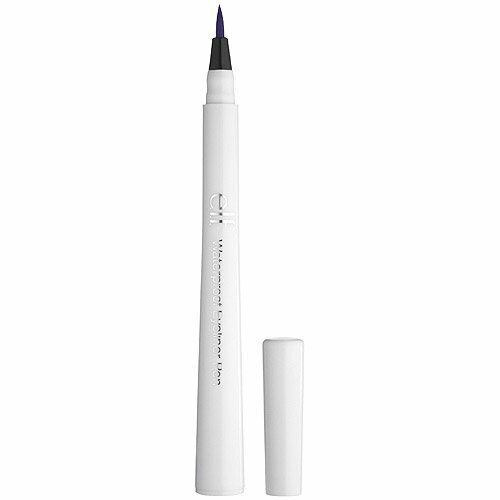 The formula of this eyeliner is infused with anti-aging ingredients and skin-soothing proteins. 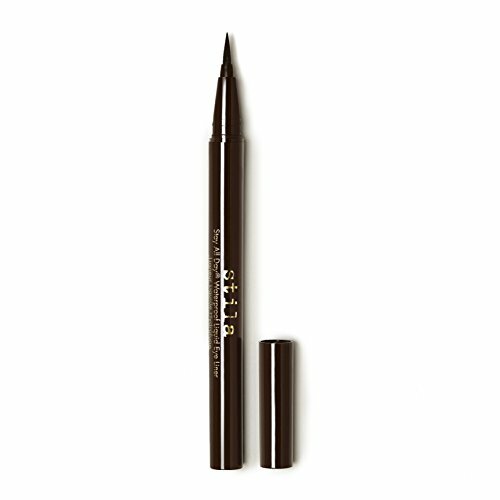 The price of this eyeliner is very high but the smooth formula makes it worth it. This eyeliner is preferred by many celebrities for its no-tug formula and soothing ingredients. The pigmentation and the staying power make this eyeliner worth the price. One of the cheapest eyeliners available in the market, this pen liner is smudge proof and waterproof. It gives you a natural look with the soft black and brown color options which suit all skin tones. You get an opaque finish with one or two swipes and the color stays on the eyes for 5-6 hours. It does not fade easily and glides smoothly on the eyes. The price is very good for the quality and you can also get it on discount easily if you check online. Try using this eyeliner pen if you want thin and precise wings without much effort. The price is also affordable and the staying power is good for beginners who want to experiment with their eyeliner application techniques. There are many different types of waterproof eyeliners available in the market and you should which one is the right option for you. Liquid liners are good for a glossy finish and pencil eyeliners give more of a natural smokey look. Gel eyeliners can be used for tight lining the eyes. Start with the basic type for practice and then move on to the more complex textures. The thickness of the tip of the eyeliner should also be chosen depending on the requirement. The pigmentation of the eyeliner is second most important criteria for selecting it. Go for intense pigmentation if you want a very dramatic look and a subtle pigmentation for a natural look. Check the eyeliner in the store to see if it has a good pigmentation. Gel liners are generally the best in terms of pigmentation. Another feature which you must check is the staying power of the liner. Normally, waterproof eyeliners stay longer than normal eyeliners as they are not affected by sweat or water. The eyeliner should stay on the eyes for the whole day with or without minor fading. Check if the eyeliner you are buying is actually waterproof or just resistant to water by keeping it under running water and rubbing it lightly. If it fades or smudges, then the eyeliner formula is not waterproof. Generally, waterproof eyeliners can cost anywhere between 5$ to 30$ depending on the formula and the brand. Since the skin around the eyes is very sensitive, it is advisable to invest in a product from a reputable brand which does not use many chemicals in the eyeliner. You can check online for discounts or freebies available with your favorite eyeliner. Always prime your eyelids if you have oily skin before using the eyeliner for a smoother finish and better staying power. Lining your eyes perfectly comes with practice and your hands become steady as you use the eyeliner regularly. Remove your makeup every day when you come home with a good makeup remover to let your skin breathe at night. Start with a pencil eyeliner to get a hold on the application before switching to a liquid or gel eyeliners as pencils are easier to control and hold. Do not go for very bold eyeliner colors with bright makeup. Use a softer color when using a bright lipstick and use a darker color when using a neutral lipstick. 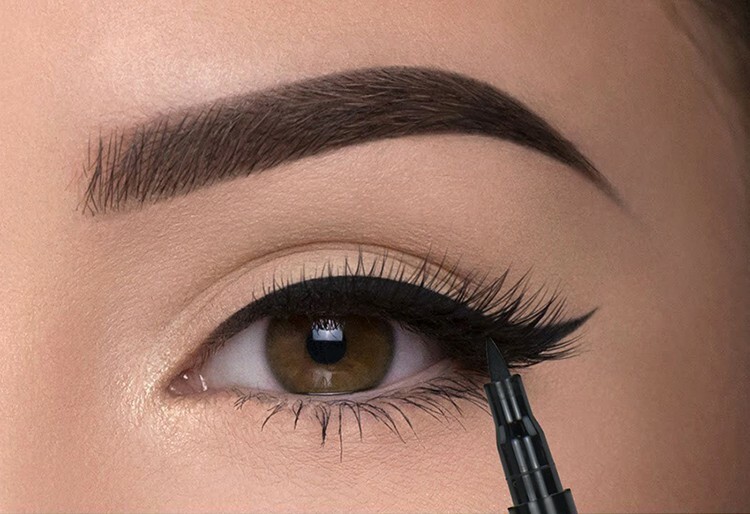 Let your eyeliner dry before using the mascara to avoid smudging the liner application. Start with the wings first and then extend the liner to the inner corner of the eyes by thinning the line as you go further. This will give a natural shape to your eyeliner wings. So these are some of the most popular waterproof eyeliners in liquid, gel, and pencil form. All these products are great in terms of pigmentation and staying power. You can apply them and forget about them till the end of the day when you want to remove your makeup. This eyeliner buyer guide will help you find the right waterproof eyeliner for your daily use. I want to know how do I dissolve a waterproof eyeliner? Just follow these ways. First, you find a tiny bottle for your eyeliner. Next, use a small dish mix an eyeliner with a small amount of oil. Then, using clean tool applying on your eyes. Is it waterproof eye liner against sweat? Waterproof eye liner is designed to be a sweat resistant as well not only water. However, eyeliner is more difficult than mascara because oil was produced easily so it can cause makeup to slide around on eyelids. Revlon ColorStay Eyeliner Pencil is really fit my face.